Christian retailers went to church Monday night at CBA’s Worship Him service during Unite 2018. CBA’s annual convention is being held July 8-11 at the Gaylord Opryland in Nashville. Jekalyn Carr (Lunjeal Music/New Day Christian Distributors) kicked off the musical portion of the evening as she reminded participants through the power of song that God is bigger than anything they might face. With his crowd-pleasing band, Jason Crabb (pictured) continued the theme of expecting big things of God, praying, “Bless us, Lord. Bless us, Lord. Send your presence.” Crabb mentioned his recent CD release, Unexpected (Daywind/New Day Christian), but sang one classic not on the current CD that really roused the crowd, “Working on a Building.” He also gave away a Rahab’s Rope product, which benefits the poor in India. Sandi Patty brought her resounding voice to the service although she is no longer touring regularly. While she sang a number of favorites, she also played and sang a quieter song, declaring that “Jesus is a faithful friend in the in between,” referring to the “in between seasons” of life. 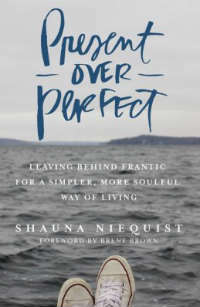 HarperCollins Christian Publishing releases her new book, The Voice, on Nov. 6. In a welcome by CBA President Curtis Riskey before the music started, he promised that Unite 2018 was “not business as usual.” The service did seem different than usual with the challenge by one key speaker, Eddie Roush, chairman of the Roush Foundation, which gave a million dollars toward CBA member retailers’ show expenses. Roush, who is also chairman of the CBA Service Corporation, stood with a Bible held high declaring many of the names of God from the Scriptures. When Roush was young, his pastor-father sang “There’s Something About That Name.” He talked of facing troubled times and said God’s Word warned of that ahead of time. Roush went on to talk about the power of words, to say that Christianity needs to be rebranded and that the Christian products industry needs a dramatic change in its business practices and strategies. A former lawyer, Roush seemed to speak against the Christian baker who recently won his Supreme Court case for not baking a cake for a homosexual couple and against the alliance of believers with right-wing politics. He called out double standards and hypocrisy among Christians and called for compassion rather than cruelty. Rivers talked of Noah and Enoch receiving radical words from God that changed their generations. 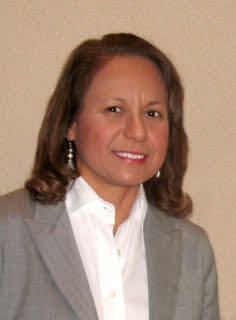 Lucy Diaz Kurz has rejoined the Charisma House book group after a seven-year interval. Kurz relaunches her career at the publishing house as vice president of marketing, a title she held from August 2004 to September 2010. In this role, she will oversee strategic marketing efforts for all book imprints, including Charisma House, FrontLine, Siloam and Passio. As the most industry-awarded Hispanic woman in the Christian bookseller market with many gold, platinum and New York Times best-seller distinctions, Kurz has represented hundreds of artists and authors and thousands of products. Kurz’s widespread years of professional experience include successful roles as senior vice president of business development/consulting for Synergy Crosslinx Holding LLC, president of development at Gospo Centric and B-Rite Music, president at Lucy Diaz Kurz Consulting, vice president of marketing and corporate officer and vice president of special projects for Integrity Inc.
With her successful completion of studies in two global networks providing qualification to teach in more than 1,300 international Bible schools worldwide through Rhema Bible Training Center and DOMATA School of Ministry, Kurz brings a wealth of biblical expertise to Charisma House, which is the publisher of the Modern English Version Bible translation. Charisma House has published 13 New York Times best-sellers, including The Harbinger, The Mystery of the Shemitah and The Book of Mysteries by Jonathan Cahn; Fasting by Jentezen Franklin; 23 Minutes in Hell by Bill Wiese; and The Seven Pillars of Health by Don Colbert, M.D. The Association of Logos Bookstores announced this year’s Books, Author and Representatives of the Year. The awards, presented at Unite 2017 in Cincinnati, Ohio, honor outstanding work in the Christian publishing and retailing fields. Each spring, members of the Association of Logos Bookstores nominate and then select Books of the Year winners in seven different categories, as well as an Author of the Year whose body of work exemplifies the power of books to change lives forever. Finally, Christian retail store managers nominate 22 outstanding field and inside representatives, who are honored for their service to the stores. Executive director Becky Gorczyca was proud to honor 2017’s winners. "We consider it a privilege each year to acknowledge, encourage and thank these other participants in our shared mission in Christian retailing," Gorczyca said. Anne Graham Lotz received the award for Author of the Year. The seven Books of the Year were James K. Smith’s You Are What You Love (Brazos Press/Baker Publishing House) for Theology, Doctrine and Reference; Sharon Garlough Brown’s Barefoot (InterVarsity Press) for Fiction; Ann Voskamp’s The Broken Way (Zondervan) for Spirituality and Devotion; Priscilla Shirer and Gina Detwiler’s The Prince Warriors (LifeWay) for Youth; Shauna Niequist’s Present Over Perfect (Zondervan) for Christian Living; George McDonald and Ruth Sanderson’s The Golden Key (Wm. B. Eerdmans Publishing Co.) for Children’s Picture Books; and Makato Fujimure’s Silence and Beauty (InterVarsity Press) for Christianity/Culture. The 17 representatives honored for their work were Gary Sipes (B&H), Connie Hall (Crossway), Steven Bartch (David C Cook), Robert Splinter (Group Publishing), Dean Cook (HarperCollins), Regina Hughes (HarperCollins), Gary Comeforo (HarperCollins), Jeff Miller (HarperCollins), Jerry Gortmaker (Noble Marketing), Lane Davis (Noble), Ryan Garrett (Noble), Ted Terry (Noble), Harley Rollins (Rollins Pilot), Trevor Rollins (Rollins Pilot), Mary Lou Alexander (Spring Arbor), Dave Salzmann (Tyndale) and Troy Baker (Tyndale). CBA's Unite 2017 in Cincinnati had an intentionally smaller footprint but saved money for the Christian retail association. The exhibitors seemed mostly pleased, although they acknowledged there were fewer retailers who attended. The international booths were also set up in a separate exhibit area, which led to some complaints, but the international business was generally good, according to exhibitors. Dicksons’ Stephanie Flinn, vice president of product development, brought to their booth gifts appropriate for the season that retailers would be buying now. With a smaller show floor this year, exhibitors reduced their booth space. Flinn also noted that she had some “great conversations” with internationals, which is a major focus of the show. Craig Cable of Group Publishing also said his company had “lots of great discussions and meetings” at Unite. Brian Adkins, founder and CEO of Scripture Candy, had a good order-writing show. “We were also exposed here to the Empowered Life group that bought 15 stores [from Family Christian Stores]. … That within itself makes the show," Adkins said. Sister Antonia Cleverly connected with customers at the booth for Paraclete Press, which hasn’t been at CBA’s show for more than 10 years. 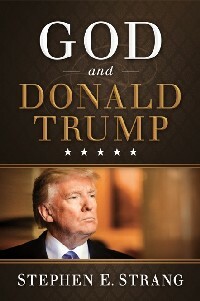 The publisher returned this year, she said, because of its selection of titles appropriate to the evangelical market. Paraclete is also strengthening its publishing on the ecumenical side. “We’re trying to talk with other distributors and also we had some rights appointments, so it’s a good opportunity for us to do some other connections, not just bookstores,” Sr. Antonia said. “I would say we had moderate expectations, and they were met,” she added. Designer Mindy Kinnier, who owns gift company Rooted Ink with her two sisters, is exhibiting at Unite for the first time. The young company is new to Christian retail, but has an inventory that should appeal to Christian stores. Rooted Ink focuses on prayer journals, including some for children and youth, and also sells sermon notebooks and Scripture prints. “We had a few Christian bookstores contact us just through our website, so we thought we’d come and get some exposure here,” said Kinnier, whose parents owned a Christian bookstore in Orange County, California, for 28 years. Karen Ganovsky, founder and owner of Neckglasses/NeckBlessings, had a positive outlook on Unite 2017 and is looking forward to the convention in Nashville, where it will be for the next two years.